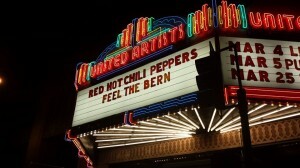 Last night (Friday 5th February) the Red Hot Chili Peppers played their first live gig of the year- it was a benefit concert for a US presidential candidate, Bernie Saunders- at the Theater connected to the Ace Hotel in Los Angeles. It wasn’t a full concert and apparently there were massive problems with the sound according to my friend who was there. BTW Josh appears to have dyed his hair red! 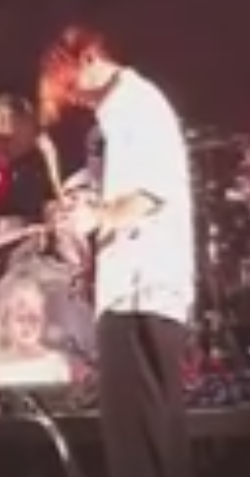 My friend who was there said about it when she phoned me and it does look red on the videos! Update: Have just been told that it was done as a tribute to David Bowie. 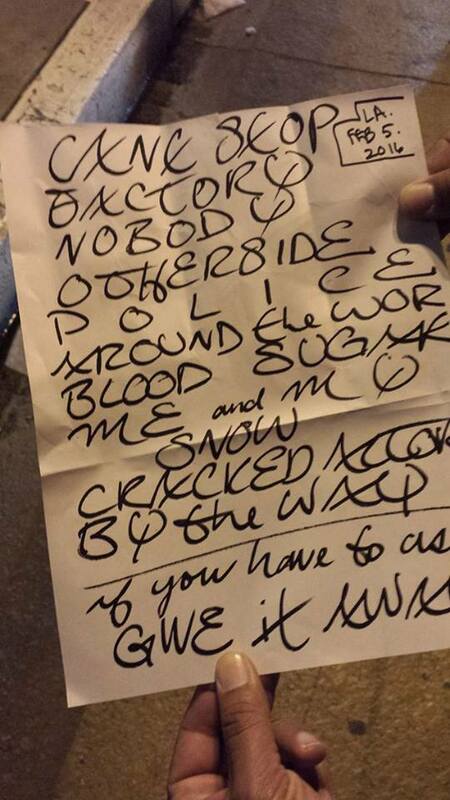 (If you Have to Ask) although on the set list, this was apparently not played. There are loads more images on AP Images but I can’t link to them. An 18 minute video which is shot next to the stage starting with Bernie Saunders speaking and going into Can’t Stop, Factory of Faith and Nobody Weird Like Me. Update: videos are now appearing on Youtube- sorry if there are duplicates but I’m losing track here!!! 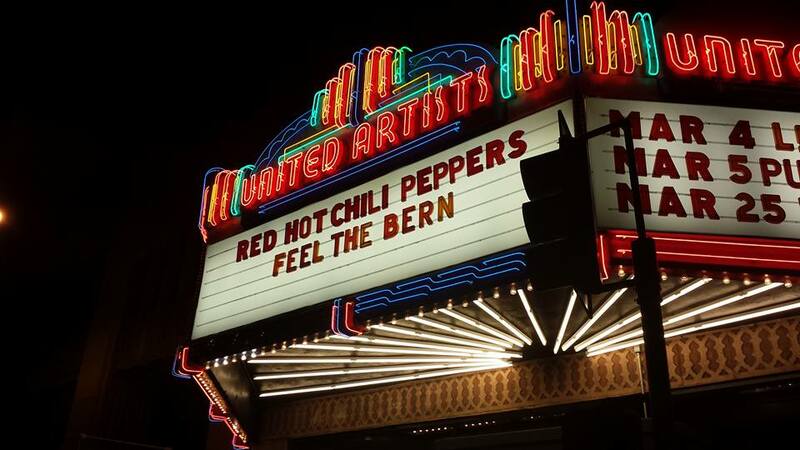 This entry was posted in Red Hot Chili Peppers, RHCP General, RHCP Tour 2016 by Squitherwitch. Bookmark the permalink.